In 1969, four siblings visit a fortune teller, who tells each child the date of their death. 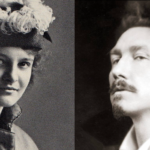 We follow the Gold siblings both separately and together over the next four decades and see how these revelations affect their choices, their behavior, and their relationships with one another. Benjamin has an extraordinary ability to write about family tensions, the cracks over which you cannot safely step, the unwilled love that keeps people close despite all the fissures ... The Immortalists boasts some dramatic twists and turns but these in truth are unnecessary. Benjamin is a gifted writer, a creator of quiet asides and haunting images who mines a seam of sad wisdom. Some novels are portraits, some are page-turning puzzles. Still others are meditations on the mysteries of life. The Immortalists, a family story with a twist, is a bit of all of those. The tale of four siblings marked in childhood by a terrible prophecy, it careers through time and tragedy with the reader in tow, as deft and dizzying as a high-wire act ... Juggling so many pieces has its risks. The rapid-fire plot at times feels rushed and contrived. The portrayal of the AIDS epidemic is predictable, while some of the other developments seem wildly improbable. Yet, as the novel deepens, the reader is beguiled with unexpected twists and stylish, crisp prose. In a novel centred on magic and mystery, Ms Benjamin uses misdirection to frustrate as well as entertain ... Unwittingly, this ambitious, unorthodox tale may change you too. 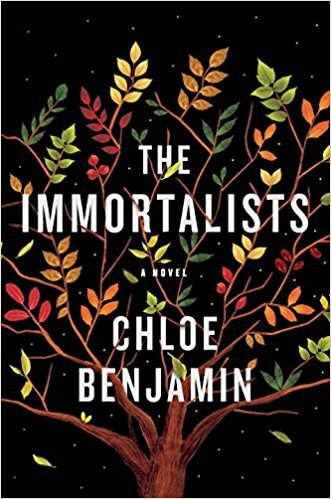 What did you think of The Immortalists?